Product #21120 | SKU HS-1 | 0.0 (no ratings yet) Thanks for your rating! The Zoom HS-1 Hot Shoe Mount Adapter To 1/4" is designed for connecting an audio recorder via its built in 1/4" thread to the hot or cold shoe of a DSLR, camcorder, or other camera. This enables one person to operate both video and sound at the same time. 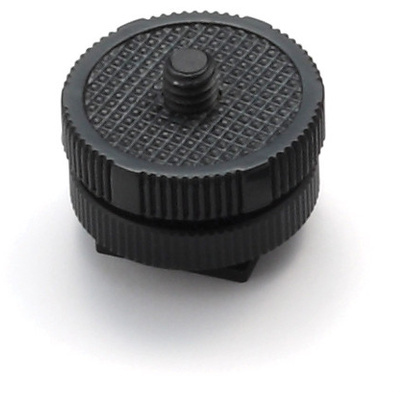 The adapter is made of durable moulded plastic with a metal screw, and features two locking wheels to tension the shoe and thread to secure the recorder to the camera.